What to Do If You Are the Victim of Police Brutality | Hupy and Abraham, S.C.
Who is going to believe your word over the word of a police officer? Is there any way to make a fair recovery when it was a law enforcement official who caused your injury? These may be some of the questions running through your mind after you’ve been the victim of police brutality. The truth is that it can be difficult to get a fair recovery when you are hurt by a police officer’s use of excessive force. However, you do have legal rights. Police brutality is against the law, and there are certain things that you can do to protect your right to a fair recovery. Police officers have a duty to get injured people medical care as long as doing so does not put them in danger of being hurt. This includes people that they have hurt by using excessive force. The United States Supreme Court has ruled that the Eighth Amendment to the Constitution requires that adequate medical care be provided to people in police custody. The failure to provide reasonable medical care may be cruel and unusual punishment. Unfortunately, police do not always get medical care for people in their custody. 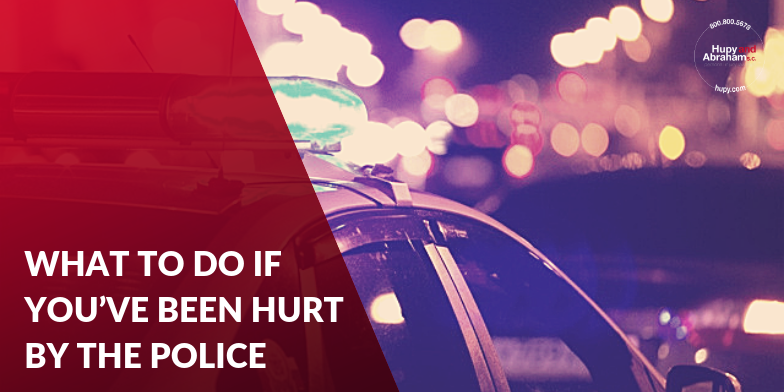 If you are in police custody after being hurt by the police and the police do not provide first aid, call 911, or get you to a doctor quickly after you have been injured then you should request to see a doctor. If possible, make a note of the time that you made the request and the name of the officer to whom you made the request. You may make repeated requests, and document them all, if you are not provided medical care quickly. If you are not in custody then you should go to the emergency room or your doctor as soon as possible. Prompt medical care is important to your physical recovery and will also provide important evidence in your case. In order to make a police brutality recovery you need to prove not only that the police acted with excessive and unreasonable force, but also that you were hurt because of that force. Your medical record will be important evidence about the cause of and the extent of your injuries. The name, badge number, and police department of the officer who hurt you. The name, badge number, and police department of any officers who witnessed the incident. The name and contact information of any people who witnessed the incident. The date, time, and location of the incident. Your injuries by taking photos. Other evidence may also be available from other sources such video recorded by the police and nearby homes or businesses. Video surveillance may have captured what happened to you. This video may have been taken by cameras in the police cruiser, by video cameras in the police station, by body cameras on the police officers, or by surveillance videos that happen to be on nearby homes or businesses. These videos may be very strong evidence in your claim against the police. However, you do not have immediate control over them. Instead, you will need to take legal action to prevent the police department or property owner from deleting the video. Your attorney can provide all relevant parties with the required notice that will legally prevent them from destroying the videos or other evidence. Our attorneys can make sure that all relevant evidence is properly maintained and that your legal rights are protected. If you have been hurt in a Wisconsin police brutality incident, then we encourage you to contact the attorneys who got the largest police brutality settlement in Wisconsin history for a free, no-obligation consultation. If you have a potential case and you decide to hire us, then we will not be paid until your case is settled. Therefore, you have nothing to lose and much to potentially gain by contacting us today by phone, text, or email to schedule your initial meeting. Contact us online or call us directly at 800.800.5678. ?Is a police officer’s use of a Taser always police brutality? ?Can I recover damages if my loved one is killed by the police? ?How do I report a police brutality injury in Wisconsin?